The Tide’s Loads of Hope mobile has just arrived in High River to provide free full service laundry to all relief workers, families or individuals affected by the recent floods. The truck is outfitted with 32 energy-efficient washers and dryers and can do up to 300+ loads a day. This service is available to all families or individuals in need of clean clothes. No bedding, jackets, or other large pieces will be accepted. Residents and workers can drop off laundry to be washed, dried and folded free of charge. Please limit one load per family per day. The mobile will be active in High River, Alberta (12th Ave. & 5th St. SE) from 8:30 am to 5:30 pm daily. 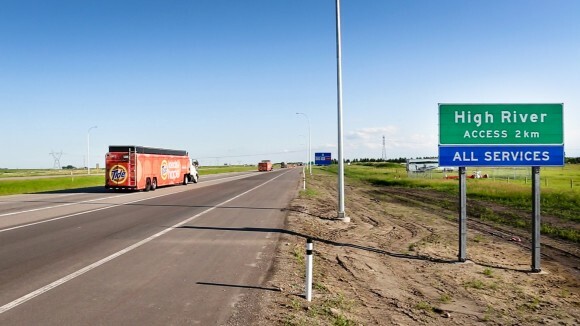 Prior to the arrival of the Loads of Hope mobile laundry service in High River, Tide worked with Glenmore Coin Laundry to provide emergency services to Calgary residents. Working together, they washed over 650 loads of laundry in the past 4 days, assisting families that have been impacted by the floods in Calgary. This marks the first time that the Tide Loads of Hope program has come to Canada. Tide Loads of Hope was created in 2005 to provide much needed free laundry services to families affected by Hurricane Katrina. Inspired by the resilience and spirit of the people of New Orleans, Tide was driven to expand the Loads of Hope program and to continue to help those affected by disaster. For updates, visit Facebook.com/Tide or follow @Tide #LoadsofHope on Twitter. Disclosure: I am a #PGMom and receive some perks with my affiliation. I also receive notice of some fantastic initiatives that I can share with you. I was not required to post this article. This is AWESOME! Wayta go Tide! Next: Is Blogging Hazardous to Your Health?